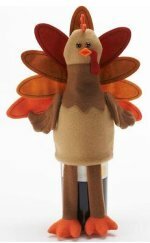 Stuffed turkey roll recipe using wine! Turkey is a healthy poultry meat, but cooks often have difficulty retaining the meats moisture. That’s why we add here 2 glasses of dry white wine, versus the usual one glass. The fact that the turkey meat is both stuffed and rolled also helps with retaining its moisture and flavor. We start our recipe by carefully washing our turkey fillets and trimming any fatty pieces. Dry the fillets atop paper towels. The fillets must be thick enough, about 1 1/2 inches, at least. With a sharp knife, we cut the turkey fillets lengthwise down the middle, opening it in two halves, almost like a sandwich. However, don’t cut them in two pieces, keep them connected. Put the fillets in a bowl, and we marinate the fillets with the dry white wine (Pinot Grigio), salt, fresh ground pepper as needed, the oregano, and the clove of garlic that we have finely chopped. We cut the red and green peppers in long thin slices. We then cut the cheese in long thin slices as well. We place the peppers and the cheese in the center of every fillet, and roll the fillets with the stuffing inside. We plate the stuffed turkey fillets in a pyrex or a ceramic cookware dish. Place them in a way that they won’t fall over or fall apart. We pour the wine on top of the fillets, and then we bake them, covered in a pre-heated oven at 350 degrees, for approximately one hour. For a better lightly brown color, we remove the lid for the last ten minutes of the cooking time. When our food is ready, we remove it from the oven, and let it cool down for a while. Then we cut it in thick slices, and we serve with side dishes of aromatic basmati rice or baked potatoes and we can sprinkle finely chopped parsley on our dish, along with fresh ground black pepper, for a nice garnish that also adds color. Enjoy with a light red wine, such as a Chambourcin, or an easy-drinking Rosso Della Valle.